The average adult takes over 20,000 breaths per day, and if my patients are representative of the general population, I can say with fair certainty that most of that breathing is being done incorrectly. I’ve been going back and forth as to when to discuss breathing as the MOTW, mainly because it can be so difficult to understand and even more difficult to teach. But you students of movement deserve to be privy to the Maestrofied version of said information regarding one of the most fundamental actions we as humans perform. So here goes nothing. Warning: this piece is a bit long-winded (pun absolutely intended) so feel free to scroll to the bottom if you wanna just check yo’self. Why should I care about proper breathing? Breathing affects everything we do, and is an excellent starting point for treating many of the ailments we have. For you PTs out there reading this, incorporating breathing techniques, whether overtly or under the guise of something else, can really help with those patients who can’t seem to maintain any semblance of flexibility for more than 20 minutes or those with muscle guarding that would put the Hulk to shame. Breathing can decrease stress, increase mobility/flexibility, and improve our general functionality. The caveat is, you have to be doing it properly, and chances are, you’re doing it all wrong. The ‘core' represented as a soda can. Image overlay courtesy of Burrell Education. When we think of breathing, we often think of the lungs. I’m not here to discuss those, as I’m not a respiratory therapist (bless you if you are), and spirometry really isn’t my jam (Google it). What I do want to discuss is the role that the core, namely the diaphragm plays in breathing. When people talk about the “core” they often tend to be erroneously referring to only the “6-pack” or rectus abdominis. In reality, the core is a 3-dimensional structure that can be thought of as a cylinder, or for a more tangible representation, a soda can. 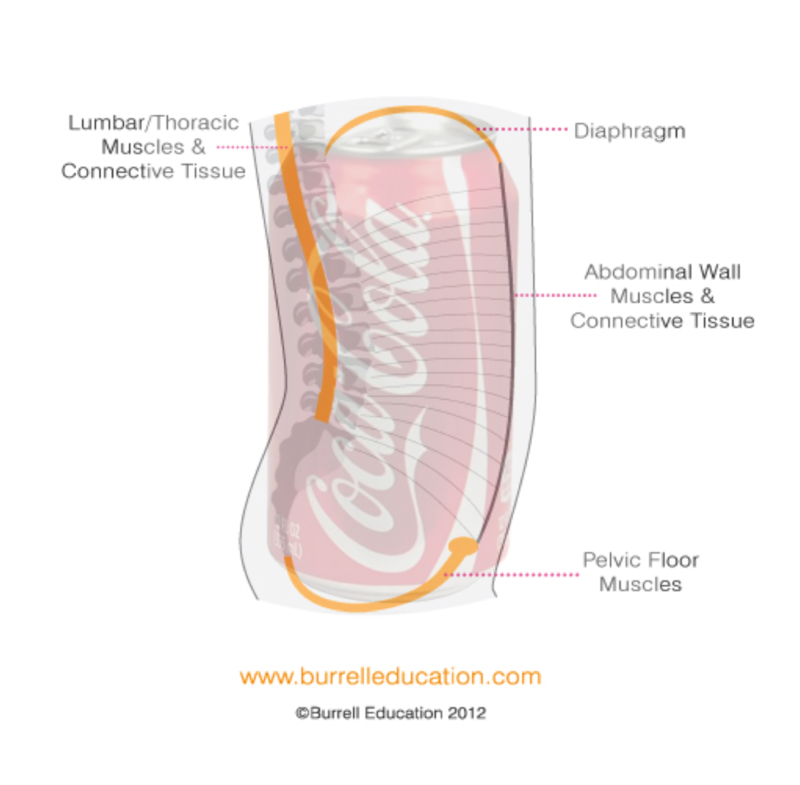 If we were to pretend that the soda can, like our trunk, has a true front and back, then the anatomy of the core as represented by a soda can would be as follows: Top – the diaphragm, Bottom – the pelvic floor, Sides – the transverse abdominis and obliques, Front – rectus abdominis, and the Back – the lumbar and thoracic muscles and associated connective tissue. Our lungs rest on top of the diaphragm and are surrounded and protected by the rib cage. 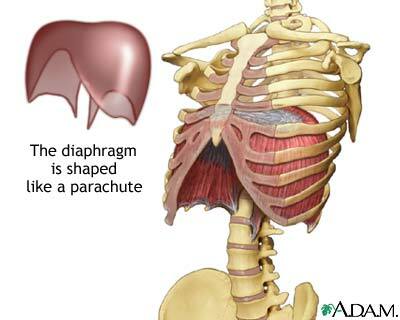 The diaphragm is a muscular dome with a large central tendinous portion and anatomically separates the thoracic (chest) cavity from the abdominal cavity. While the diaphragm is famous for its role in breathing, it serves a second function in helping to create core stability via increasing intra-abdominal pressure. The diaphragm needs to be able to perform both of these duties simultaneously, or we risk injury during physical exertion. If you’re out of shape and your diaphragm has to devote all of its energy to helping you breathe it’s unable to regulate that intra-abdominal pressure as well. Suddenly when you’re huffing and puffing and decide it’s a good idea to lift, well, anything, your core can’t stabilize your spine. The next thing you know you’re on the floor ready to shoot the next “Help, I’ve fallen and I can’t get up” commercial. This idea of lost stability in the presence of respiratory fatigue holds true for high-level athletes and the regular Jane/Joe alike. For all you crossfitters out there, remember this during your next MetCon when you’re gasping for air and trying to do 95lb thrusters. What actually happens when we breathe? When we inhale, the diaphragm contracts and is drawn downward into a more flat orientation. Concurrently, the external muscles between the ribs (external intercostals) contract to cause outward movement of the lower rib cage via a what we in the PT biz refer to as a “bucket handle motion.” These simultaneous motions cause the thoracic cavity to increase in size, which draws air into the lungs. Descent of the diaphragm compresses the contents of the abdominal cavity (your guts) and causes an increase in the intra-abdominal pressure. This increased pressure leads to a passive expansion, aka eccentric (lengthening) contraction, of the abdominals and the pelvic floor. During exhalation, the diaphragm relaxes and moves upward, allowing the contents of the abdominal cavity to rise and put pressure on the lungs, expelling air. Additionally, the abdominals, pelvic floor, and internal intercostals contract concentrically (shortening) to depress the ribs, decrease the size of the thoracic cavity, and expel air from the lungs. What does bad breathing look like? Let’s not be a Negative Nancy and call it “bad” breathing. In reality, what most folks are doing can be described as chest breathing. While this breathing strategy isn't ‘bad' per-say, it's not the most ideal pattern to default to or have as your only strategy. For these people, they’ve associated deep breaths with sucking in their gut to fit into their favorite jeans, the exact OPPOSITE of what should be happening when we inhale. You also don’t want to see much movement at the upper ribcage or shoulders, indicating excessive use of what we call the “accessory muscles of breathing.” Try this: put one hand on your stomach and one hand on your chest and take a big breath in. If you feel your stomach being drawn inward and/or chest moving up, you, my friend, are doing it wrong. Keep reading to find out how to check yo’self before you wreck yo’self. So wait, how does breathing help with core stability? As that diaphragm descends and increases the intra-abdominal pressure, voluntary activation of the core musculature in the presence of proper pelvic and spinal alignment allows for optimal stabilization of the trunk. The increased intra-abdominal pressure exerts an outward force that is countered by the VOLUNTARY contraction of the core muscles (directed inward), decreasing shear forces across the spine via a technique known as bracing. This is why people hold their breath and bear down, also known as a valsalva maneuver, when performing maximal effort lifts or any other movement that requires maximum force output. However, an effective breathing pattern is also crucial for stabilizing the spine at sub-maximal efforts via this same bracing mechanism that is dependent upon coordinated intra-abdominal pressure changes and core musculature activation. Check yo’self: Find a comfortable spot on the floor and lay on your back with your knees bent. Place one hand on your chest and your other hand on your stomach near the bottom of your ribcage. Remember to get yourself into that neutral spine/pelvic alignment that we discussed a few weeks ago. Take a big breath in, preferably through your nose, and feel which hand moves first, if at all. Exhale slowly through your mouth. The goal is to have the hand resting on your belly be the only one rising up and down as you breathe in and out. Your lower ribcage should also be expanding outward as you breathe in. Your shoulders and upper ribcage however, should not be moving. A nice cue offered by Mr. PT himself, Aaron Swanson, is “inhale into a balloon inside your stomach.” As this becomes easier, try to expel more air during each exhale, but avoid any super forceful contractions of your abdominal muscles. Another technique to assess proper breathing is to place your hands around your lower rib cage and feel for expansion outward and backward. Make sure you practice this proper breathing form in all positions, aka sitting and standing, not just laying flat on your back, because this is how you should be breathing all the time, not just when you’re laying on the floor with your hands on your chest and belly, which I’m sure you do all the time. The more you practice it will become second nature and you won’t have to think about it to do it correctly. 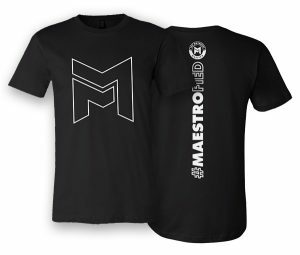 But what about breathing while under load or in those weight lifting situations once you’ve performed that valsalva manuever? That, my friend, will have to wait for Part II, which I’ll post in the upcoming weeks. You’ve already read so much, you deserve a break. So kick back, relax, and take a deep breath, the right way. Your body will thank you.